Having tried Bar Bar Black Sheep, we decided to go to Merry Men instead. You know I love a good bowl of beef stew ($10) but it didn’t turn up to be what I expected. The gravy was way way way too watery and too oily. Look at the thick film of oil floating. Rather tasteless too — only salty. 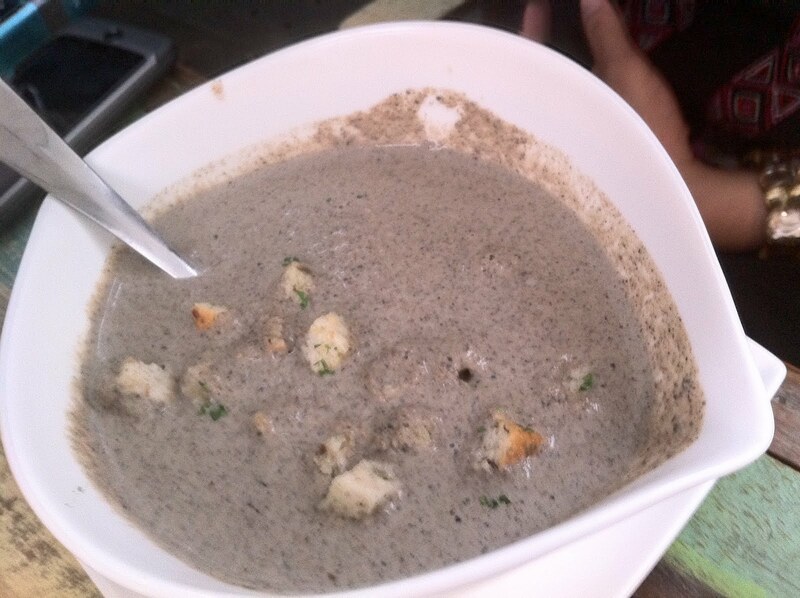 The bread was warm and the flour was comforting but soaked up the oil – treat it as moisturizing the lips. The truffled fries ($8) were good because you eat till you puke. My philosophy is: if your food is no good, give ample portions, Singaporeans love a good bargain. 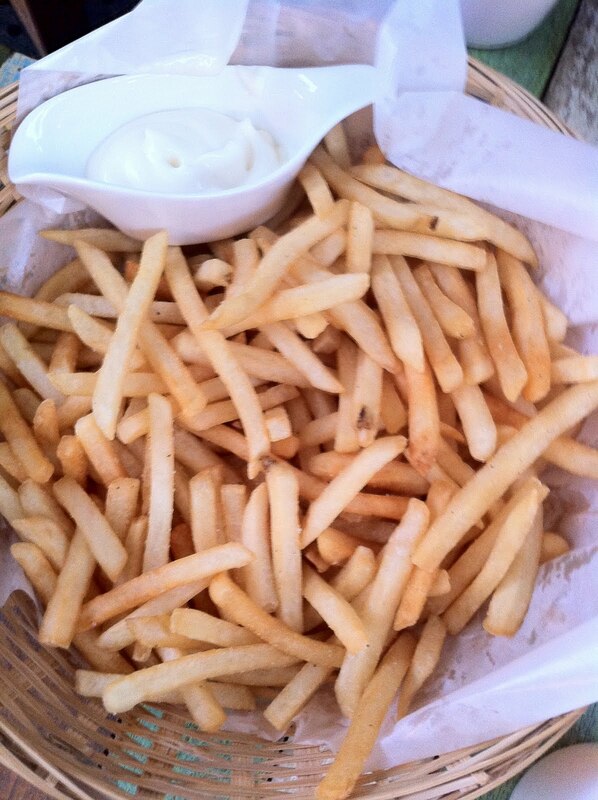 But the fries were good, hot and truffley, and you can feed ten pigs with it. 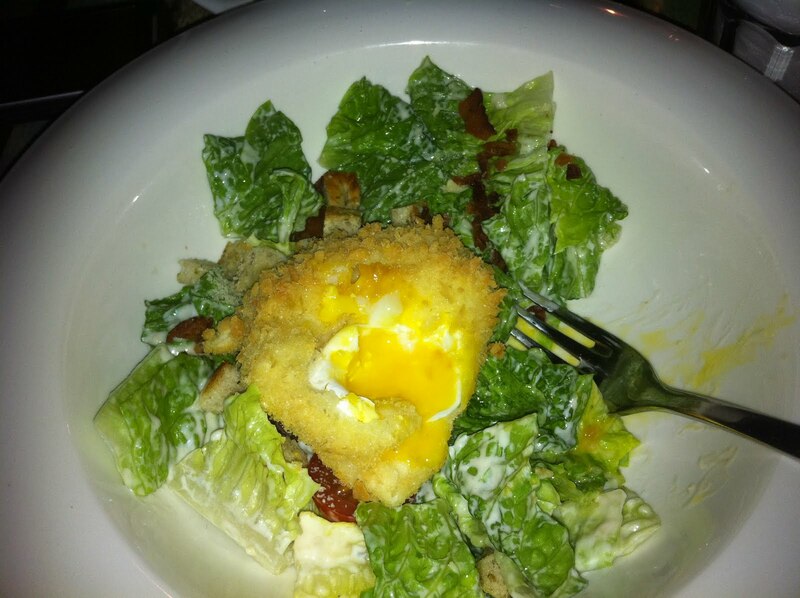 The Caesar Salad ($8) was rather unique but it is a deep-fried battered poached egg with the york still runny. Unfortunately, it had no taste and required some salt. And well, salad is salad. 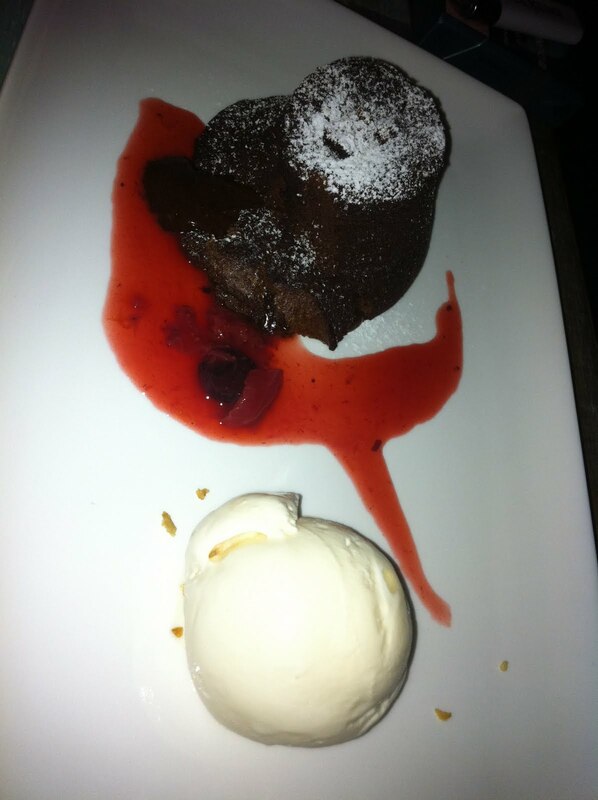 The warm lava chocolate cake at $12 isn’t cheap but it is worth it. I feel that this is the only truly good thing for the food we tried. It was steaming hot and very chocolatey. Besides the food being must better and cheaper at Bar Bar, the clientele is also different. Bar Bar has white expats; Merry Men has rich local men (men whose daddies are rich in the first place). Many of these men are SMU grads. Of course you know my postcolonial mindset would have naturally swayed to Merry Men, but I find that Merry Men is very clannish, makes me feel unwelcome, like an outcast, like a member of Glee, like it’s high school all over again. Bar Bar, on the other hand, feels more matured and leaves you alone; yes, I’m Singaporean but I feel like I blend in there. The over-chatty waitress at Merry Men makes me feel bored of her inane conversations. I mean, I don’t mind being friendly but don’t overstay your welcome. She rattled on like a machine gun. But it’s really not her. There is just something not right about Merry Men that I cannot put my finger on. In a word, since Bar Bar and Merry Men are beside each other, I’d rather be at Bar Bar.